iLL CAMILLE – Let You Know [Leak] – Be Fearless. Be Flagrant. 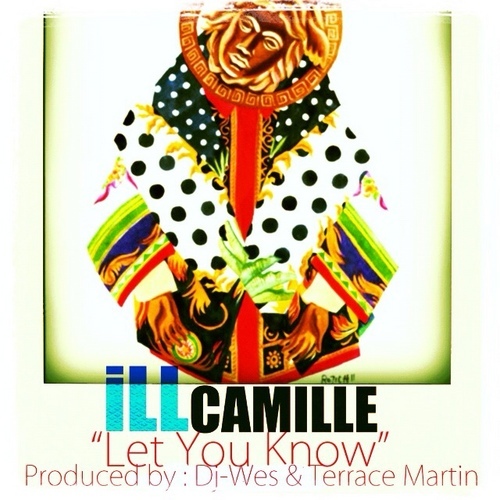 “Let You Know“ is iLL CAMILLE’s first official joint from her upcoming sophmore release entitled “iLLUSTRATED” set to drop mid-June. Dj Wes (Schoolboy Q,Casey Veggies,Skeme) set the tone for this track laying down a very 90’s-esque drum sequence to capture iLL CAMILLE’s retro vibe. Brittany Barber’s vocals are melodic match for ILL CAMILLE’s clever, from-the-heart wordplay. As if that wasn’t enough,Terrace Martin’s amazing musicality took the track far beyond the realm of hip hop.